Thanks to Safiah H @ Itihad airways for helping us! AA, hope you will too! – ArunasNepalRelief, Inc. Thanks to Safiah H @ Itihad airways for helping us! AA, hope you will too! 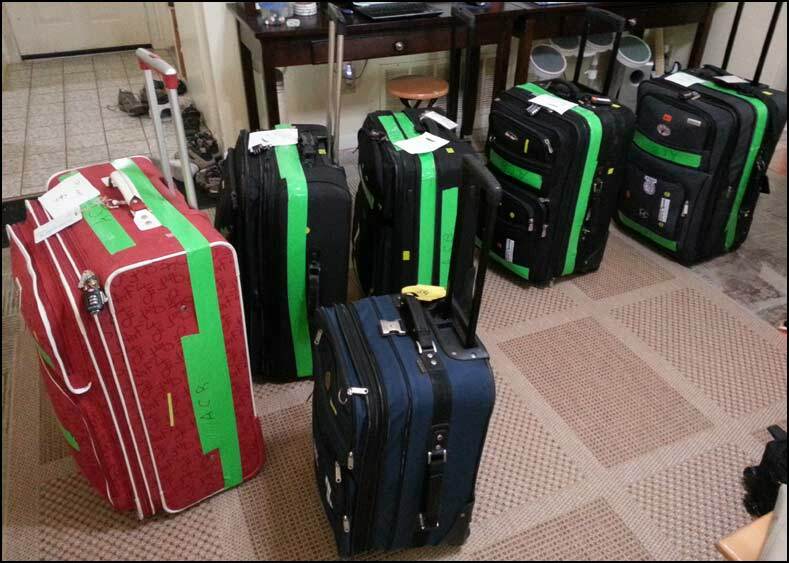 Thank you Safia H at Itihad airways for helping and approving the extra luggage! American Airlines and Nepal airport customs we shall see how they handle our Nepal earthquake relief supplies that son and I have personally packed and repacked and are taking it all the way to Nepal ourselves, will see and report! Best lesson I’ve learned so far “Prepare for the worst and hope for the best”. Today, after 6 tries reaching out to Itihad airways, and waiting and waiting for weeks on approval, no answer “Yes” or even “No” for just 2 extra baggage of relief items for Nepal earthquake, I finally tried one last ditch effort. I was lucky to get a different customer service agent and spoke to Safia H at Itihad airways and amazingly she came through for me! Not only did she call me back unlike the other agents who promised a call back but she went out of her way to go to upper management and get 2 of the 6 check in baggages approved and waived the fees from Chicago to Kathmandu. Slight possibility we have to recheck all the baggages in Chicago but I have my strong son who is always there to help. We will manage some how. 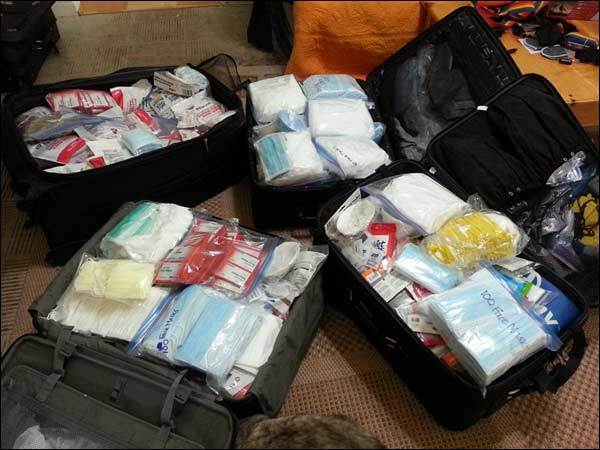 I am so very grateful to Safia and all involved at Itihad airways for doing this for Nepal relief aid supplies and not charging $175 per extra luggage. It means a lot since she truly showed she cared after I told her the facts of our relief mission and the true story behind how this all came about. A big thank you Safiah! Safia I wrote a letter to Itihad to the email you provided thanking you but email bounced back, sorry wanted to tell them what great customer service you provided. You know how to reach me. I can send the letter to another email if you can provided me. thanks! For the first time, I am not focused on the continuing 4.5m, 4.3m aftershocks that my mom and friends tell me continue today in Nepal. I am focused and determined to get all this relief aid supplies to Nepal earthquake victims, because my friends worked so hard in my son’s school, children, parents, school staff and my friends all over have been involved. There is no way this is not making it to Nepal. Will see how the customs treat these relief items once we get there, if they tax it, if they try to take it from us, I will report. But right now, taking it one step at a time, thinking positive! My husband must have weighed each suit case more than 6 times, so we could calculate precisely none weighed more than 50lbs. 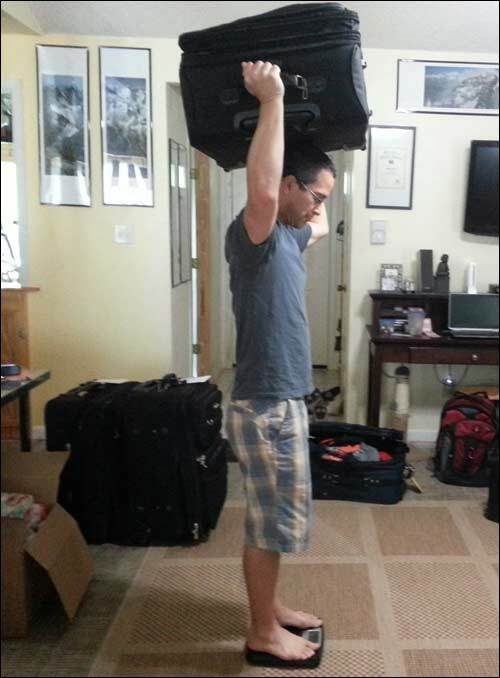 After each weigh, we had to unpack and repack each suitcase taking supplies out and moving them and then weighing it again so each accurately weighed 50 lbs or less in order to not have to pay extra weight fee. I also learned how to setup a tent, thanks to my husband who’s done so much for us in helping with planning this trip to Nepal! For someone like myself who’s never setup a tent before in my life ( I know pretty sad), my husband trained me very quickly how to setup a backpack tent in just 15 min. Mission accomplished! Both my son and I know how to set it up, in case there is a severe aftershock, this tent by Magellan Outdoors is so easy to setup. 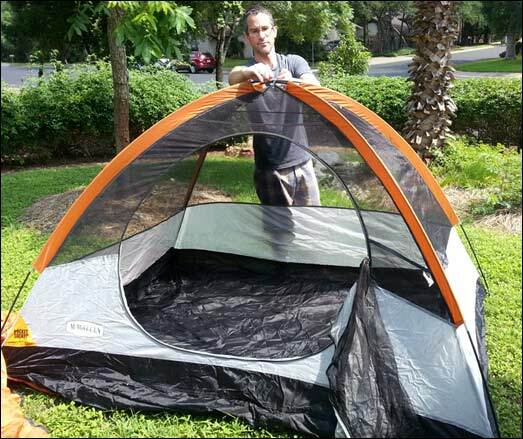 My husband, showing me how to set it up the tent, take it down and pack it and then watched me do the whole thing. Great coach! Magellan Outdoors backpack tent is the best way to go. A preteen can set it up in 15 min. Crossing fingers all will go smooth from here on!